The leading heart charity, Cardiac Risk in the Young (CRY) is urging all MPs to make a pledge to support a National Strategy for the Prevention of Young Sudden Cardiac Death to help save young lives. This week marks CRY’s 21st Raising Awareness Week – and MPs gathered at a Parliamentary Reception at Westminster last night (Wednesday 23 November) where they stood shoulder to shoulder with bereaved families, charity Patrons and eminent researchers to launch the new campaign; #MPsupport4CRY. Trinity PR were delighted to be at the event, running the press office. UK healthcare policy to prevent young sudden cardiac deaths is informed by a number of guidelines and recommendations. However, the current guidelines are contradictory and based on inconsistent assessments of the incidence, methods of diagnosis and management of cardiac conditions in young people. The charity is therefore calling for a National Strategy to ensure the guidelines and policies to prevent young sudden cardiac death are consistent – and the first stage must be to correctly acknowledge the incidence of these tragic deaths. There is clear published evidence that government advisors are significantly under-reporting the number of young sudden cardiac deaths (age 35 and under). 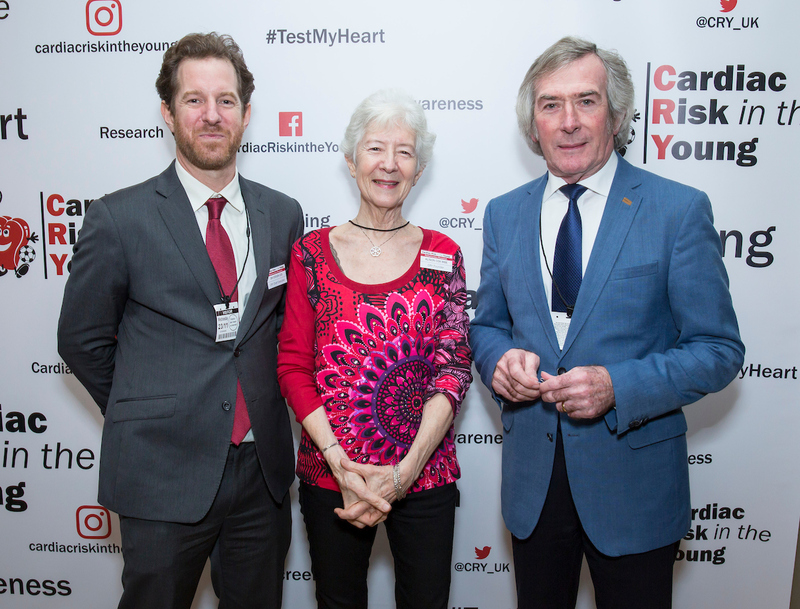 This has lead to the National Screening Committee advising the government the risk of young sudden cardiac death is “tiny” and that “the overwhelming majority of heart attacks happen in elderly people. Every week, 12 apparently fit and healthy young (aged 35 and under) people in the UK die from a previously undiagnosed heart condition. In 80% of cases, there will have been no signs or symptoms, which is why CRY believes proactive screening is so vitally important – now testing over 23,000 young people every year. Sport itself does not cause young sudden cardiac death but it can exacerbate an underlying condition, if not identified. Full details of the pledge to support a National Strategy for the Prevention of Young Sudden Cardiac Death to help save young lives can be found here.